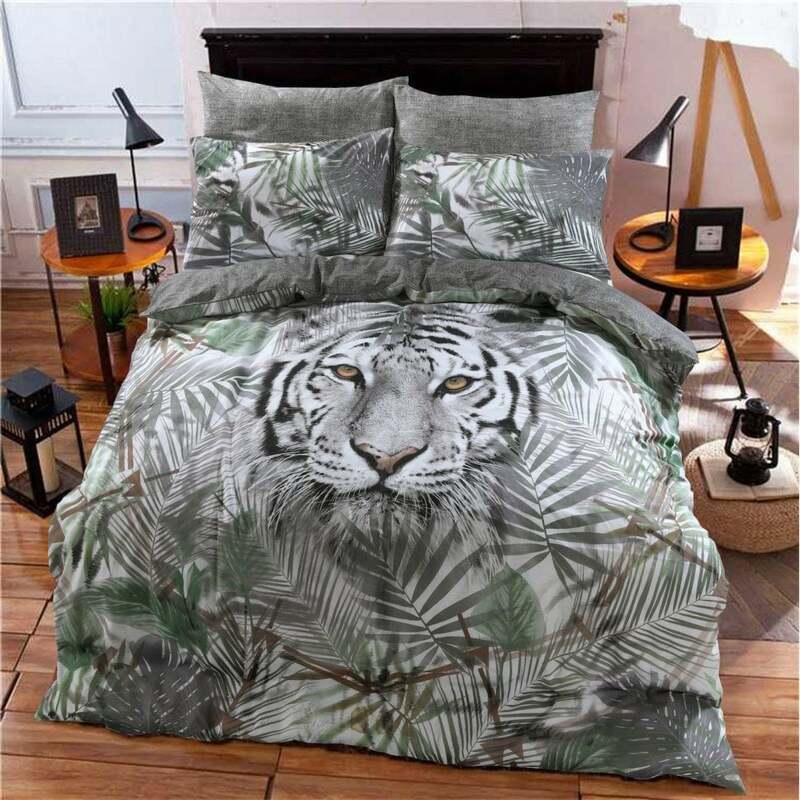 Pieridae Animal Print Duvet Set and Pillowcase Bedding Set comes with matching duvet and pillowcases and is reversible, making it perfect for students, the master bedroom and guest bedroom. Animal lovers, you can have your favourite animal on your bed with you with our fantastic duvet set! The animal print set features a modern animal design throughout that is continued on to the pillowcases. This is one bedding set you will not want to remove. Made from polycotton and the bedding set is machine washable at 40 degrees and suitable for tumble dryers.